A former underground Ag-Cu-Au-Pb-Mn-Zn mine located in secs. 15,22, 23, 26, and 27, T2S, R11E, about 6 miles SW of Superior, and about 5.1 miles NNE of Mineral Mountain, on private land. This mine is a group of seven contiguous patented claims that run N-S along the E edge of secs. 22 and 27 (they are: America, Alaska, Asia, Australia, Africa, Europe, and Great Pacific). Originally a silver mine, later a silver-manganese mine. Located approximately 5 miles SW of Superior. Discovered by John Reymert in 1885. Produced 1887 - 1930 and 1935 - 1960. Owned by Triple Nichol Inc. (1989). The USBM-ABGMT lists as past operators: Reymert Extension Silver Mines Inc. (1946); James Todd; W.J. Falbach; W. Falbach and A. Habstritt (1935); Reymert Mining Co. (1930); Jackson; Diggs; Cooley and Hicks (1927); and Inspiration (1987). This deposit is comprised of a nearly one mile long (1.8 km) vein outcropping. The vein is nearly vertical. The northern end is briefly hosted in diabase and is approximately 3 meters wide. The host rock abruptly changes to a crenulated muscovite schist (Pinal Schist) for most of the length of the vein. The vein widens to as much as 30 meters, and "feathers" at the southern end. The vein is extensively altered through a hydrothermal process and contains much black, ocherous manganese oxides. Shafts all go to a depth of approximately 400 feet (130 meters) where the vein is principally galena and very narrow. 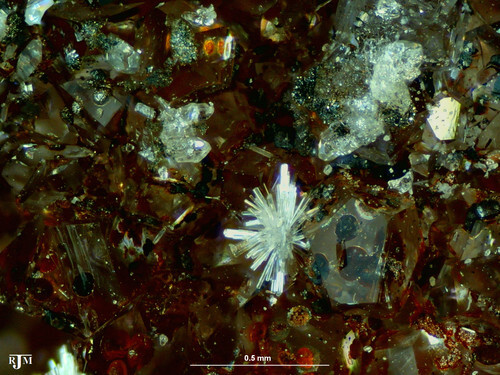 The ore zone cuts schist and is composed of bands of quartz and baryte. 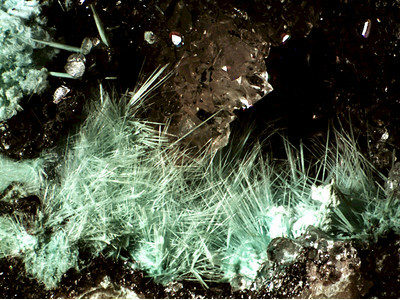 The manganiferous calcites and siderite are crystalline and in places widen into lenses. 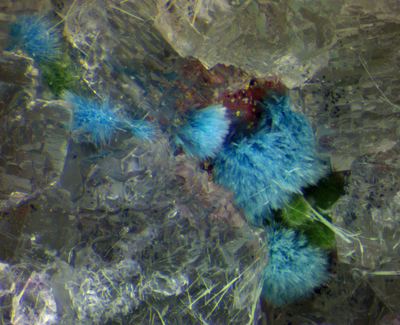 Epithermal silver-manganese vein system. The mineralization is associated with a Tertiary intrusion and volcanism. Quartz latite 15.8-17.4 MY is exposed 0.5 mile S of the mine workings. 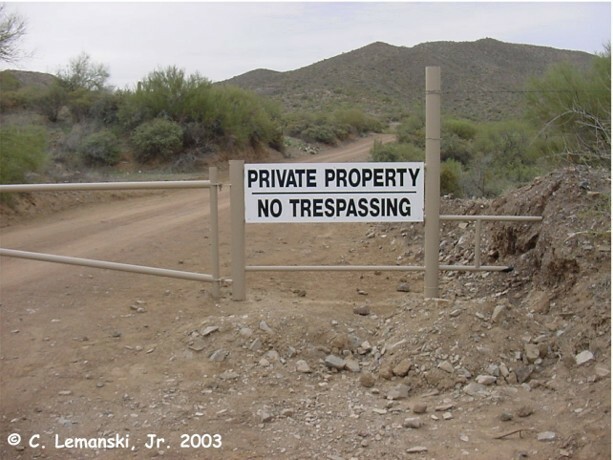 NOTE: Subsequent to the cessation of mining operations, the property was used to quarry landscaping stone (Pinal schist) that exposed significant ore. That quarrying operation has resumed (circa late 2002) and the property is strictly off-limits to collectors (unfortunately). Workings include two main shafts (one on either end of the ore body): the Alaska shaft and another one about 2,000 feet S. Lateral work done includes a few tunnels and a near-surface drift running a significant distance N-S through the ore.
An estimate of ore reserves in 1986 was 426,000 metric tons. 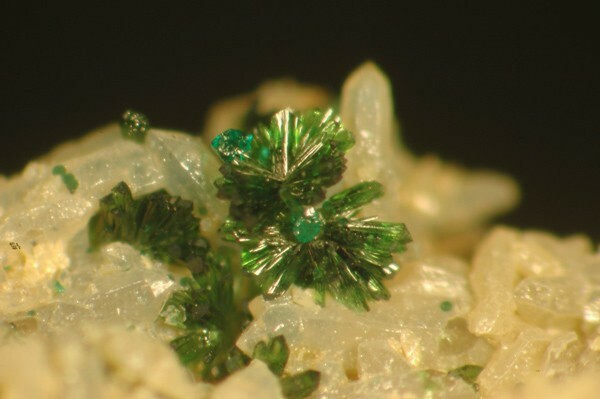 Description: Occurs in bands throughout the ore. 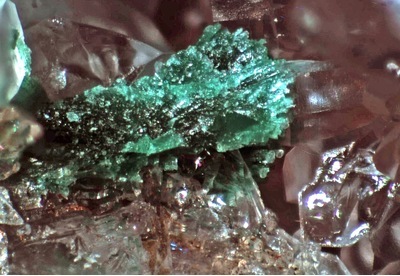 Description: Occurs as fracture fillings and crystal aggregates in cavities in "pods" within ore. Description: Occurs disseminated in crenulated muscovite schist near the principal ore vein outcropping. Fluorescence: Bright blue (LW UV), blue (SW UV). 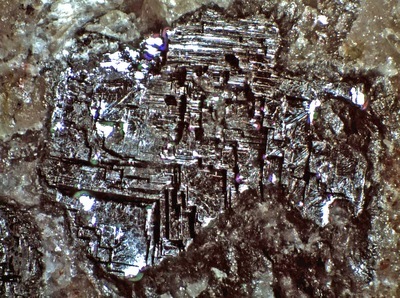 Description: Lines cavities in oxidized ore. 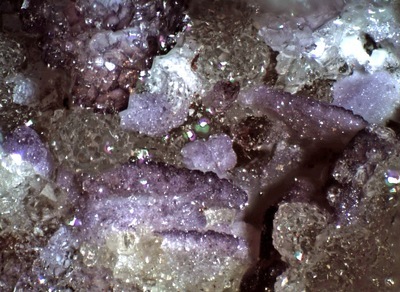 Pale green cubic crystals to 1.5 cm line lens-shaped cavities; small, colorless to purple, crystals line cavities as crusts and "stacks" of complex crystals. 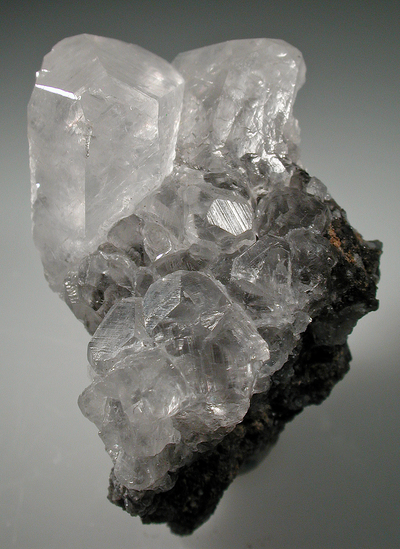 Colorless crystals coat extremely thin, tabular barite crystals. 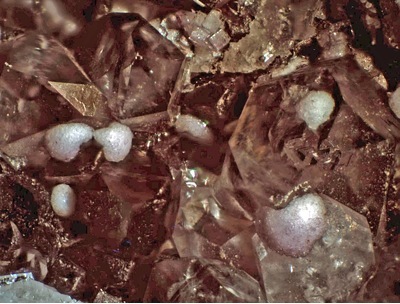 Description: Occurs as coatings of tiny black crystals on matrix cavity surfaces in lean ore.
Reference: Collected by, and analyzed thru Chester S. Lemanski, Jr., analysis by F. Veselovsky and P. Ondrus, Czech Geological Survey. 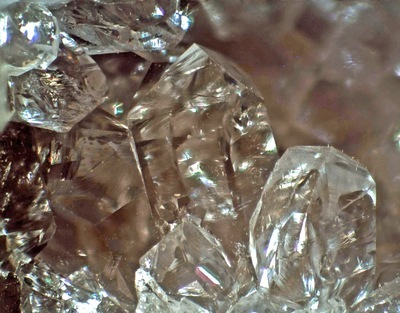 Description: Occurs with silver and acanthite in quartz veins. Reference: Collected by, and analyzed thru John Ebner, Wall Twp., NJ. J. Ebner & C. Lemanski, Jr. collections. Reference: Anthony, J.W., et al (1995), Mineralogy of Arizona, 3rd.ed. : 292. 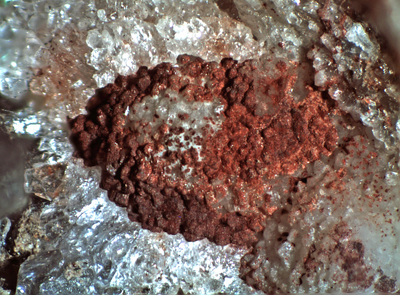 Description: Occurs as coatings on fracture surfaces on ore near a fault traversing the vein. Fluoresces green (SW UV). Reference: Collected by C. Lemanski, Jr.
Reference: MRDS database Dep. ID #10048319, MRDS ID #M899890. Description: Occurs as honey-comb structured or boxwork type material with numerous cavities. Description: Brilliant, tiny, prismatic quartz crystals lining cavities in oxidized ore. 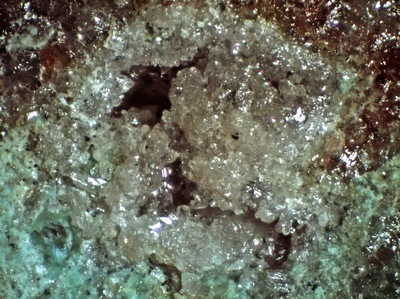 Description: Coatings and small hemispherical aggregates of pale blue shattuckite on fracture surfaces in and near oxidized ore. 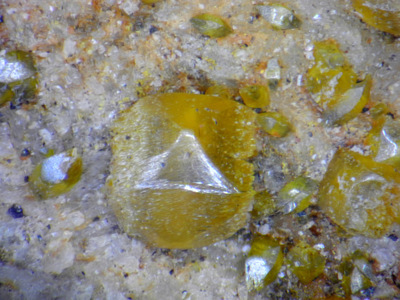 Description: Occurs as tiny blebs in chalcopyrite. 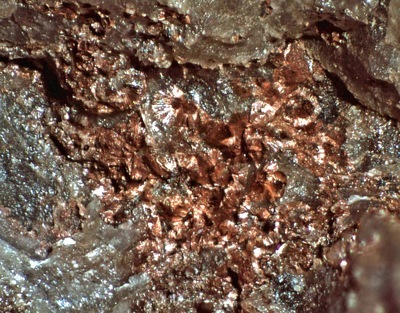 Description: Occurs with other manganese oxide minerals. Fluorescence: Bright green (SW UV) + bright green phosphorescence. 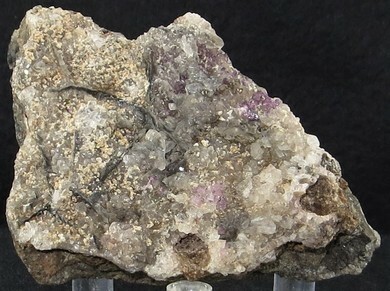 Description: Occurs as aggregates of acicular crystals forming "hairy balls" in cavities in oxidized ore. Also as thin bands or layers between layers of calcite, fluorite and/or quartz in oxidized ore.
Reference: M. Ascher Collection; John Ebner collection; Chester Lemanski collection; Steven Misiur collection; Ronald Deblois collection, Mike Skebo collection. 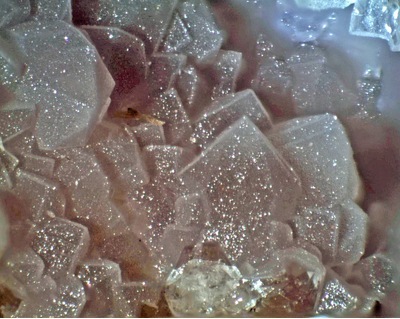 Description: Occurs as tiny, tabular, orange crystals in cavities in quartz boxwork in oxidized ore.
Romslo, T.M. and Ravitz, S.F. (1947) Arizona manganese-silver ores. United States Bureau of Mines Report of Investigations 4097: 10-13. US Atomic Energy Commission Preliminary Reconnaissance Report 172-488 (1953) 14. Farnham, L.L., Stewart, L.A., and Delong, C.W. (1961) Manganese deposits of eastern Arizona. United States Bureau of Mines Information Circular 7990: 143-144. Dunning, Charles H. (1966) Silver from Spanish Missions to Space Age Missiles: 106. Schmidt, E.A. (1967) Geology of the Mineral Mountain Quadrangle, Pinal County, Arizona. Thesis, University of Arizona. Wilson, K.S. 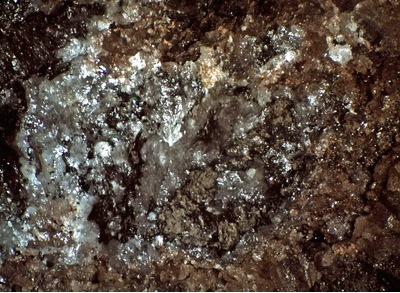 (1984) The geology and epithermal silver mineralization of the Reymert Mine, Pinal County, Arizona. MS Thesis, University of Arizona. Phillips, K.A. (1987) Arizona Industrial Minerals, 2nd. Edition. Arizona Department of Mines and Mineral Resources Mineral Report 4, 185 pp. Arizona Department of Mines & Mineral Resources (1989) Directory of Active Mines in Arizona, Incorporating Sand and Gravel Operations (1989-1990). Arizona Department of Mines and Mineral Resources Directory 36, 14 pp. 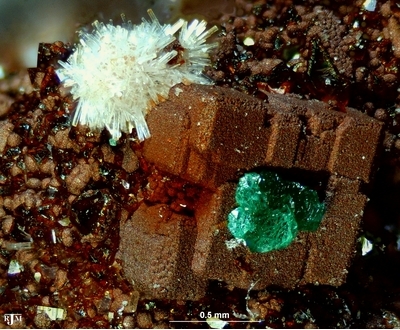 Anthony, J.W., et al (1995) Mineralogy of Arizona, 3rd. ed. : 100, 165, 188, 252, 260, 292, 299, 373, 398. U.S. Bureau of Mines - Arizona Bureau of Geology and Mining Technology production file data. U.S. Bureau of Mines District Sheet #597. USGS Mineral Mountain Quadrangle map. Arizona Department of Mineral Resources Reymert Mine file. Arizona Department of Mineral Resources U file. 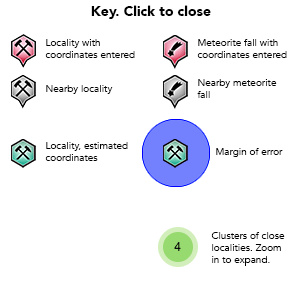 U.S. Bureau of Mines file data cluster #899. MRDS database Dep. ID #10048319, MRDS ID #M899890; and Dep. ID #10161987, MAS ID #0040211043.